A former F-I-U basketball player who, earlier this year, accused her head coach of sexual harassment has now filed a lawsuit against her former coach and several others at Florida International University. Destini Feagin filed the civil lawsuit in the U.S. District Court for the Southern District of Florida on Friday. She’s accusing former FIU women’s basketball Head Coach Marlin Chinn of battery. She’s also accusing FIU of violating her Title IX rights by not properly investigating her claims that Chinn was sexually harassing her. Feagin claimed other coaches at the University observed Chinn repeatedly making inappropriate sexual advances towards her during the 2015/2016 season but those coaches did nothing to stop him. “He used his position of authority to exploit and harass Destini through text messages, through phone calls," said Feagin's attorney, Elizabeth Parker of Kaplan, Sconzo & Parker P.A. based in Palm Beach Gardens. "He had the power to determine who was going to be playing on the team, what positions, whether or not they got playing time and most of all who got scholarships and who didn't. She was the female athlete that was under control of this coach," she said. 22-year-old Feagin, who attended FIU on a full basketball scholarship, made headlines in the spring when she came out with the accusations. Feagin claimed Coach Chinn started asking her details about her love life and who she was dating. The former team captain claimed Chinn’s questions evolved into sexual texts and even got physical when, she says, Chinn hugged her and kissed her neck putting his hands on her private parts. In the federal lawsuit, Feagin is accusing several members of the school’s athletic department of knowing about Chinn’s behavior but ignoring it. She’s also accusing the University of retaliating against her by cutting her from the team after she came forward with the claims. While an internal university investigation eventually substantiated Finn’s claims of sexual misconduct by Chinn, the school maintained Feagin’s removal from the team was not retaliation but the result of her stealing another student’s school debit card for her own purchases. That case left her arrested by FIU police in May and charged with credit card fraud and petit theft. “Destini hopes that she will help in preventing future female athletes from being sexually exploited, sexually assaulted by coaches not only at FIU but at every academic university in the nation,” said her attorney. FIU Coach Marlin Chinn was eventually terminated this summer after Chinn admitted he violated NCAA rules by giving Feagin $600 to settle a school account before she could register for classes. Chinn has denied any accusations of sexual misconduct against Feagin. This is a developing story. 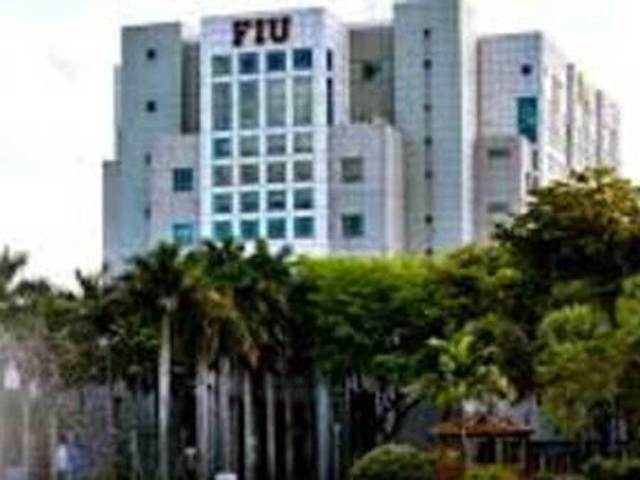 We are waiting to hear a response from FIU on the lawsuit. The Contact 5 Investigators discovered right now the Department of Education has (9) active investigations into how (7) Florida Colleges/Universities handled sexual assault / harassment claims on campus.